Party Fun for Little Ones: Giggle & Hoot Inspired Party Ideas & Inspiration! 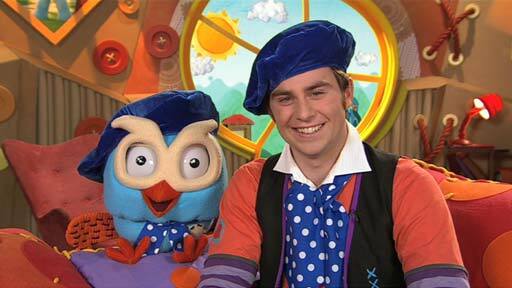 Giggle & Hoot Inspired Party Ideas & Inspiration! Giggle and Hoot have become an Aussie household favourite for many families with young children, I know we are big fans in our house :) I have also had countless emails via my store with customers asking for Giggle & Hoot Party products. 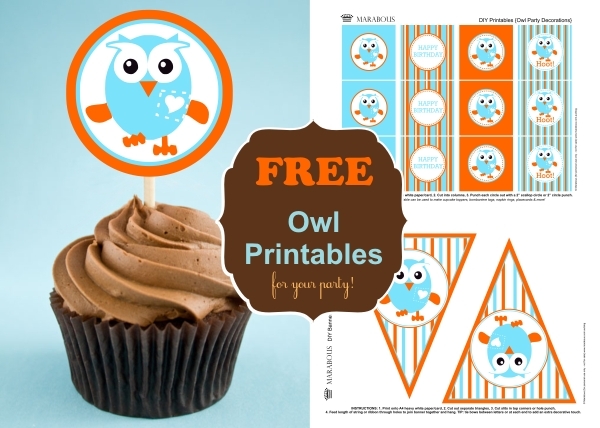 Unfortunately there isnt a licensed party range yet (wish there was, id make a fortune haha) but that doesn't mean there isn't lots of ways to throw an awesome Giggle & Hoot inspired party! Tableware & Decorations ~ Tableware and decorations can be plain, though choose matching colours such as Blue, Orange, Purple and you can even throw in a splash of Pink after the introduction of Hootabelle. Party Printables ~ Party Printables are an excellent way to tie in your party theme! 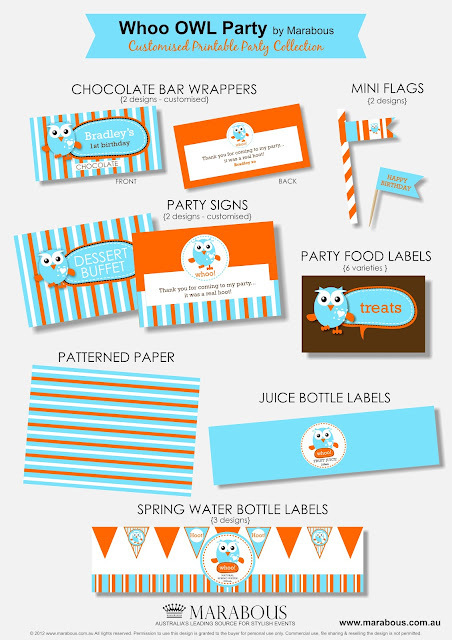 You can find invitations, food labels, banners, cupcake toppers & more! Here is a gorgeous printable set and better yet, its a free file! Big thanks to the team at Marabous for that! Here are some more printables available from Marabous that are available for purchase. Image via Marabours and to find out how to purchase click here. 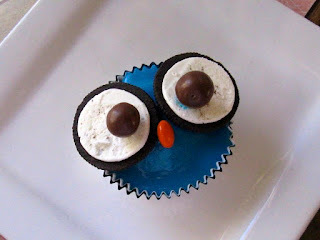 I want to do a Hoot party just to use these, they are beyond cute!! 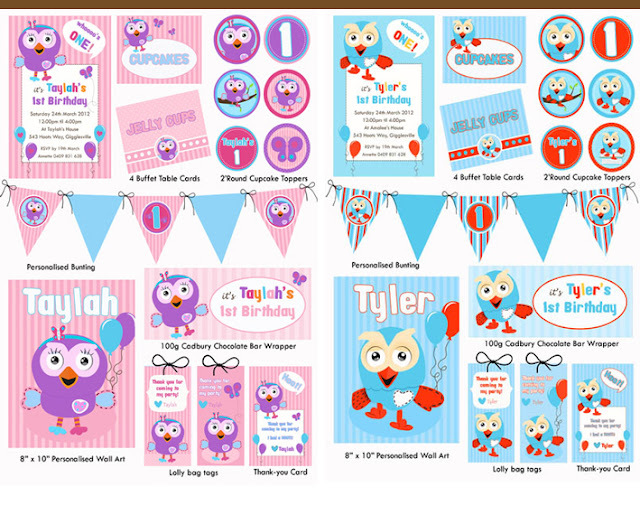 Party printables from Tweet Designs Party Boutique. They also have a combined Hoot & Hootabelle pack that is also super gorgeous and can also be found by following the link below. Image via Tweet Designs Party Boutique and purchase details available here. Hoot Cake by Oh Gorgeous Baby, easy to follow 'how to' instructions available here. There is also an abundance of extremely talented cake makers & decorators available who could whip you up a masterpiece. Check these works of art! 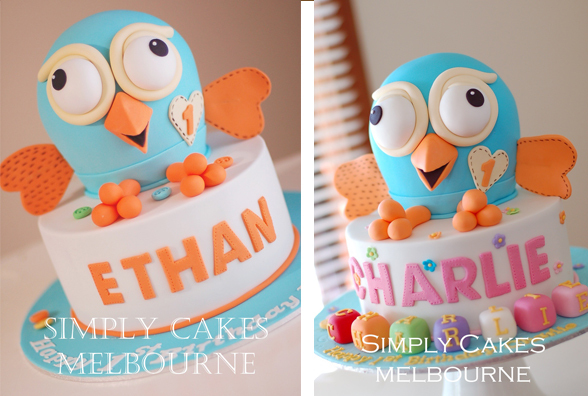 Hoot Cakes by Simply Cakes Melbourne, fab or what ? 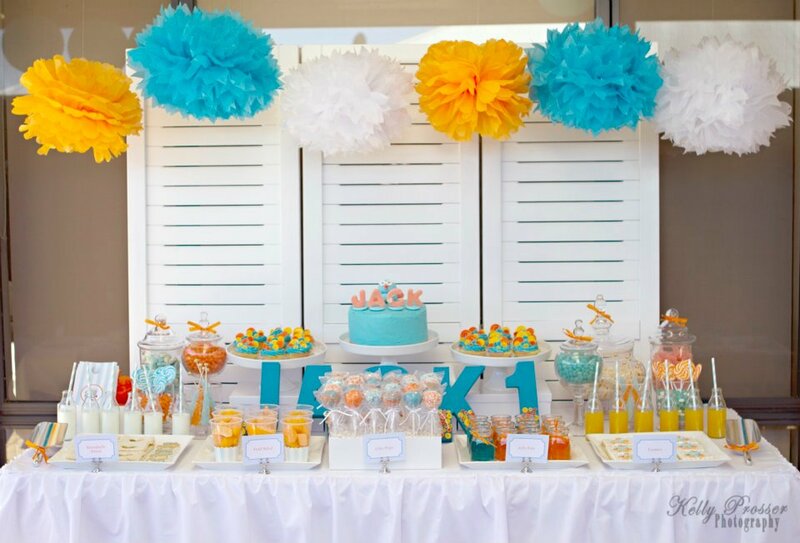 And to finish off here is a gorgeous Giggle & Hoot party, what a gorgeous effort! Stunning 1st Birthday Party for Jack by I Heart Table Art to see more pics of this sweet party click on the link.